How did Nietzsche the philosopher come into being? The Nietzsche known today did not develop 'naturally', through the gradual maturation of some inborn character. Instead, from an early age he engaged in a self-conscious campaign to follow his own guidance, thereby cultivating the critical capacities and personal vision which figure in his books. As a result, his published works are steeped in values that he discovered long before he mobilised their results. Indeed, one could argue that the first work which he authored was not a book at all, but his own persona. 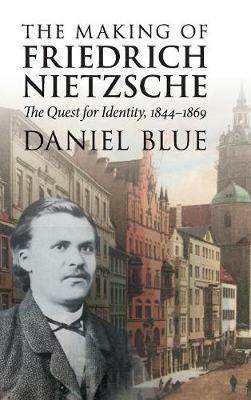 Based on scholarship previously available only in German, this book examines Nietzsche's unstable childhood, his determination to advance through self-formation, and the ways in which his environment, notably the Prussian education system, alternately influenced and impeded his efforts to find his own way. It will be essential reading for all who are interested in Nietzsche.